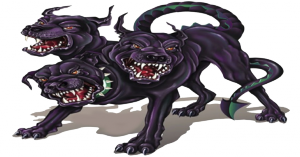 In this last article we will examine one of the heretical distortions of the doctrine of the Trinity as embraced by Mormonism. As was noted earlier, Mormonism doesn’t look favorably on the ecumenical councils that took place long ago in Christianity. Why were these councils called in the first place? The primary reason was because of heresy creeping into the church, unfortunately, by those in the church that were going astray theologically, thus causing others to join them. These instigators of heretical teachings could not be ignored and had to be addressed. Their heretical teachings were a diversion from the faith and a pollution of the gospel that emphatically began with the understanding that there is one God (monotheism) and Jesus Christ was God in human flesh (His deity: fully God and fully man). Early Christians didn’t have their theology formulated and worked out in fine details like Christians do today. It took several hundred years putting this together as the Christians studied the Scriptures in light of incoming heresies. Heresies that impacted Christianity did have positive outcomes. For example, the heresy of Marcionism forced Christians to carefully examine those books written by the apostles or other inspired writers that were authoritative, which brought about the canon of inspired Scripture. Regarding creeds, the Christians were forced to examine their beliefs in light of Scripture, forming creedal statements of belief that conversely resulted in a rejection of heretical teachings. The ancient creeds of the Christian Church are merely statements of belief that are based on Scripture. The Church is defined by what it believes. In modern times we call these “doctrinal statements.” In Christianity these doctrinal statements come from the ancient creeds that summarize what the Church believes and, indirectly, doesn’t believe. Every church, sect, or religion has these statements of belief that are essentially the same things as creeds. The LDS Church is no exception. Instead of the word creed the LDS Church calls their statement of beliefs Articles of Faith. These are synonymous terms no matter how vigorously the LDS Church tries to redefine or spin it (as they do many other words) in a desperate attempt to appear different from other religions — or to demonstrate their vitriol against the early church ecumenical councils. Why did these heresies come up in the first place? Did these occur outside of God’s will and control? Christians believe and worship a God that is sovereign over all things and that includes all that takes place in the world and the times that they occur (providence). All things come to pass exactly at the moment in history that God wants it to occur. The writings of the early church fathers (ante-Nicene), the ecumenical councils, the close of the canon of Scripture, the formulation of theology, and creedal statements of belief all came to pass exactly according to God’s sovereign plan. Yes, this includes heresies. Defining, sharpening, and filtering correct theology according to the Scriptures brings glory and honor to God. God does all things for that purpose. 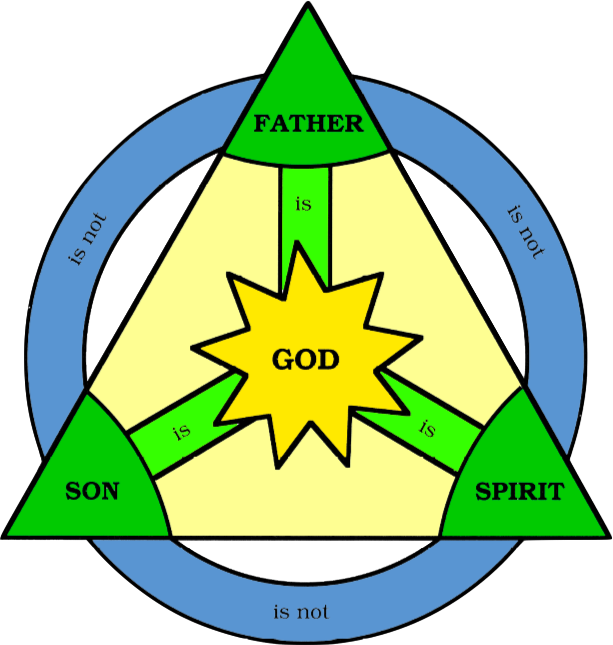 The concept of the Triune God (3 in 1) cannot be rationalized so it should be rejected. There are three separate Gods who are equal and who are united in purpose. Each God is distinct and separate. I will preach on the plurality of plurality of Gods…I have always declared God to be a distinct personage, Jesus Christ a separate and distinct personage from God the Father, and that the Holy Ghost was a distinct personage and a Spirit; and these three constitute three distinct personage and three Gods. If this is in accordance with the New Testament, lo and behold! We have three Gods anyhow, and they are plural (History of the Church 6:474). Many men say there is one God; the Father, the Son, and the Holy Ghost are only one God! I say that is a strange God anyhow – three in one, and one in three! It is a curious organization…All are to be crammed into one God, according to sectarianism. It would make the biggest God in all the world. He would be a wonderfully big God – he would be a giant or a monster (History of the Church 6:476). 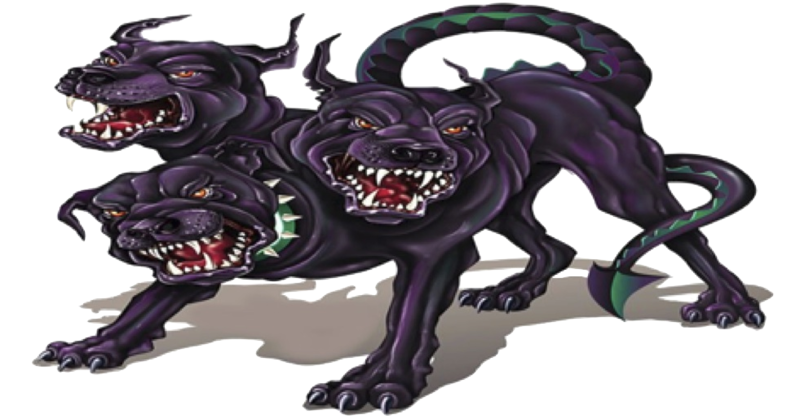 I heard a popular philosopher describe the Trinity as the three-headed Roman and Greek mythological creature named Cerberus. Maybe this is what Smith had in mind. Which Father, Son, and Holy Ghost are one God, infinite and eternal, without end (D&C 20:28). And the honor be to the Father, and to the Son, and to the Holy Ghost, which is one God. Amen (The Testimony of the Three Witnesses [to the Book of Mormon]). Mormons will say that the Father, Son, and Spirit are three Gods that are united only in purpose but not nature or substance. However, our Mormon friends cannot demonstrate from the Bible or the Book of Mormon three separate Gods that are united only in purpose. The Bible clearly reveals one God revealed in three Persons united in nature, eternality, and purpose. Mormonism’s rejection of the Trinity while embracing tritheism will continue to segregate this 19th century religious movement from historical, orthodox Christianity. This entry was posted in Christianity, Early Christianity, God the Father, Nature of God and tagged Marcionism, Mormon Godhead, Polytheism, Trinity, tritheism. Bookmark the permalink. The creed you are referring to in A.D. 357 was drawn up by heretics – Arians. These were the ones thrown out of the church at Nicea and trying desperately to make a comeback. They did have moderate success for a while, but they were eventually defeated for good at Constantinople. Arianism still lingered around though severely reduced in the number of supporters. It made a big comeback in the 19th century with the Mormons and the Jehovah’s Witnesses giving it more popularity and support than in the first four centuries. As a Mormon I guess you are forced to be proud of that. It’s the doctrine of the LDS Church and the Watchtower Society even though both of these false religious systems don’t call it Arianism. It’s the same heresy just under a new name. It’s just like Satan to do that kind of thing. Heresies and false religions tend to recycle themselves over the centuries and then come back later under a new name or a mixture of other systems all into one. Satan is the master of deception. The JW’s are under the authority of the Watchtower Society. This society has published and claimed to be God’s organization on the earth, the mouthpiece and prophet of God. They don’t have a single man who they identify as their prophet. Instead they have a governing body of men that normally number less than twelve that run the organization and rule the people. There is a president of the society, but it is just an administrative position. The Society identifies itself as the “faithful discreet slave.” They get that from Matthew 24:47 in their New World Translation. King Jesus supposedly appointed the Society as the slave in 1919 after inspecting all the other religions of the world. The Society was the only organization following the real Jehovah, so they got the appointment to be God’s organization on the earth, thus salvation (in the JW sense of it) can only be obtained through the Society. I’m sure you can see some similarities with Mormonism. A full list of similarities would take up much space here and it drifts off topic. The point is that all followers of non-Christian sects, cults, or religions are told that there is no salvation outside of their church normally located in a specific geographical location on the planet (Salt Lake City, Brooklyn, etc.). The prophet or ruling body of men rules the affairs of its parishioners. No variance is allowed officially even though it goes on. This is especially the case with the Mormons. I guess these heretics would lobby the same charges at Roman Catholicism. Rome has said that there is no salvation outside its church. The pope is the “holy father” and he has the power to speak infallibly (in R.C. doctrine) though he rarely does. I am no supporter of the Roman system by any means. Yes, I would agree that there is a traceable link with this church going back to the apostles. There have been many good popes, cardinals, priests, and nuns over the centuries. Conversely, there have been some horrible ones too. Such is the story of humankind. Where you have people there is going to be personal failures of character and power. This is certainly the case with Protestants too. There are very fine ministers and very corrupt ministers. The corrupt ones are usually discovered and tossed out. Others get by for a while and end up hurting many people in the process. I have had to confront many of these “wolves in sheep’s clothing” just the past two years. Seeing them tossed out of the ministry and the sheep being protected did bring happiness at the end of the stress and tribulation. The Bible verses you listed are good ones. We can only hope that our Mormon friends will look at them and give them serious contemplation. Yes, the point has been made time and time again over the past two weeks and long before. There is no Mormonism before the 19th century – nothing before the birth of Joseph Smith in 1805 and the founding of his church on April 6, 1830 in Fayette, New York. I can look through the many failings of the Roman Catholic Church over the centuries and see Christian doctrines that were never compromised (deity of Jesus Christ, virgin birth, bodily resurrection of Jesus, the Trinity, etc.). Martin Luther didn’t want to put an end to the church located at Rome. He wanted to reform it. The Eastern Church had their difficulties too. Through it all the body of Christ has continually marched on since its birth at Pentecost. Our Mormon posters have deftly ignored the claim by their brand of Mormonism that the doctrine of the Trinity didn’t exist prior to the Council of Nicea. Andy has clearly shown that the revealed nature of God was apart of the Church from the beginning. Since that is so, there really is no need for a restoration as Joseph Smith claimed because nothing was lost. The Mormon posters have not come up with any evidence that the Utah brand of Mormonism, in any of its forms, was part of the early Church. In-other-words, Mormonism was a 19th century invention of Joseph Smith himself originally a believer in the doctrine of the Trinity. I would think that this series of articles would pretty much slam the door on the Mormons claim of a need for a restored gospel. The idea that the doctrine of the Trinity was “man made” has also been shown to be a false claim since the Scriptures clearly articulate the nature of God. If anything is man made it is Joseph Smith’s switch to polytheism and his claim that men could become gods if they followed his religious system. Following a false prophet with a false Christ leads to spiritual death and an eternity of separation from God. Faith in Jesus is the key to eternal life. Recognizing who He is, God incarnate, is the first step. Yes, Jesus did cite the Shema Israel to a scribe – an adherent to the Jewish faith. Besides citing it He gave no other explanation or clarifications. The scribe would have heard it to be exactly the same as the Jewish God – a unitary ‘Being’, not a Trinity as is taught these days. As far as an excerpt you gave in the last post (part 3) from Irenaeus – Against Heresy 1:10:1, I could not see any Trinity taught in there at all, at the most a binitary god was taught, but even then two beings with Heavenly Father as the Supreme God and Jesus as another separate being can also be interpreted into it especially when you place into the paragraph the part removed by ellipses plus the ending of the sentence, as you finished the quote part way through the sentence. As I said in another post, all you have proven is that the Trinity was taught before the Nicaea Council. You have not overcome the facts that the Apostle’s Creed, which is older than the Nicaean does not describe a Trinity at all but 3 separate beings, and that one of the ‘big’ names you have used, Tertullian, taught subordination not equality within the Trinity. I find it absolutely fascinating how you come up with some of these sources that you draw on to try and make a point. I know you favor atheists generally but how you found this guy is truly baffling. I took the time to pursue the “about” section of the website and you’ve got yourself a real dandy here. I can see why you’re a Mormon. I really can. Any person can give links to websites that agree with their position on just about anything “under the sun” – literally. For example, you tell me the earth is round, well, here is a website that proves the earth is flat and they even cite the Bible to prove it! Ralph, this is the point I made to Clyde when he referenced a creed drawn up by Arian heretics in A.D. 357 that was against the creed that came out of Nicea. Everyone outside of Christianity is against the doctrine of the Trinity. We can roughly say that is around 5 billion people. The websites, books, and other resources put out by all the vast sects, cults, religions, and atheists that make up these people would by massive. All you have proven is that there is some website that agrees with your LDS conclusion. There is no scholarship there. You’re right, Ralph. What has been proven is that the Trinity was taught before the Council of Nicea. We had this discussion in August 2009 offline. I just read our correspondence again from that time. I’ll tell you the same thing now. This shatters the LDS conspiracy theory that is propagated at General Conference that this doctrine was came out of Nicea and was not taught by the church fathers, bishops, presbyters, and believed by the Christian people prior to A.D. 325. That right there tells you that the LDS Church is lying and bearing false witness against the Christian people. That should disturb you more than anything else, but it doesn’t. Why? Well, because when your prophet speaks the discussion is over. That also goes for your self-proclaimed apostles and members of your quorums. I stated that some of the early church fathers did think in terms of subordinationism. They were in error for that along with many other doctrinal issues. Origen was wrong for teaching universal salvation. Tertullian was wrong in teaching that Christian should wait to be baptized until right before their deaths. Why were they wrong, Ralph? The Bible doesn’t support it and teaches against it. They were not infallible and neither were their writings. Everything they said or wrote had to be examined and tested by Scripture. The same goes for any Christian today. However, when the church fathers teach that there is one God, there are three Persons who are called that are equal in nature and essence and that they are distinct and not separate, we know they got it right because Christians can weigh their writing against holy Scripture and see that it is correct. This is what took place at Nicea and Constantinople. I gave the reasons why this took so long. Examine your own church on this same basis. It took the LDS Church 150 years to figure out that blacks should receive the same church privileges as whites. The early church had no trouble with this issue. Some of its greatest theologians were Africans. I cited several church fathers who taught that the Holy Ghost was called God, equal with God, is God and that there is one God. Ralph, my belief in the doctrine of the Trinity isn’t gathered from the early church fathers. It comes from the Bible – Holy Scripture. This is the rule and authority for my life. The church fathers are resources to examine after an examination of Scripture. Their writings are not on equal par with Scripture. I say that because I am not a Roman Catholic or an Eastern Orthodox Christian by tradition. Ralph, it’s all about the Bible. In the discussions I gave references from the Bible that support the doctrine of the Trinity. A thorough theological and doctrinal analysis from the Bible wasn’t the primary purpose of these articles. The historical connection in light of the conspiracy claims of Mormonism against the Trinity was one of the primary focuses. The LDS Church is not telling the truth about church history. That has been proven in this series. He also lists all of the things he is not including an Arian. Do you think this guy will support your belief in Mormonism? You know, millions and billions of gods etc. Ralph will you grab on to anything and proclaim it as the truth? Your source here may as well be some Joe Doakes walking around in a rob with a long beard carrying a sign that the end is near. If this guy is starting his own movement, I think you’d be a good candidate for membership. Why don’t you just come to the true and living God instead of pursuing all of these vain ideas? You are so desperate that you will endorse and embrace anything that makes you feel that it supports you faith in the Joseph Smith myth. Basically, from what I can gather, he’s telling the reader that Jesus was infused with the Holy Spirit when he was raised from the dead. So what I take away from this is that the Father is God, but Jesus is sort of a glorified man. In-other-words he isn’t really God. This guy, with his creativity, would do Joseph Smith proud. This is what, I believe, draws a lot of Mormons to false prophets. Clyde contends that we have to be open to new ideas. This is the sort of thing that Mormons just groove on. Weak people use deflections like this to cover up weedy arguments. Why? Here you say ‘people’ must do something even though according to your other teachings, ‘people’ can do nothing to help in their own salvation. Just like people, like you, can find church fathers to agree with any doctrine ‘under the sun’ – literally. you say that there were men who had /have authority from God to correct false teachings that creep into your version of God teachings. Who is the man or group of men that have the authority from God to correct these false teachings TODAY???????? All the Christian church fathers were in agreement on the nature of God: one God (monotheism); three Persons who are distinct and NOT SEPARATE; Jesus Christ is fully God, etc. None of the church fathers taught Mormonism because Mormonism didn’t exist. It’s a 19th century religion created by Joseph Smith. The only people from the first four centuries that you can find to agree with anything that remotely resembles Mormonism today would be from the heretics. That’s obviously an alignment that you don’t have a problem with. Many people back in those early centuries aligned themselves with the Arians and tritheists. You are certainly free in your sin nature to join with these heretics. However, you will be judged by God for it and even more harshly because you were shown the errors of this false system and you flipped your nose at it. Parkman, it’s not my version of “God teachings.” I’m not breaking new ground here or determining what is orthodox Christian doctrine. I am only declaring what has been stated long before I was born. The Bible is the rule and guide for the faith of Christians. All declarations by men and churches must be tested by the Word. I’ve already answered your question many times about authority and defined who has that authority and who doesn’t. It’s certainly not the LDS Church and Thomas Monson. It’s unfortunate you won’t accept it; I guess I can’t blame you since you are in the LDS Church. If you realize you don’t have authority, then your spiritual journey in Mormonism is mere fantasy. I was thinking the same thing. Haven’t we answered this guys question in about six different ways. So what’s the game anyway? Either we have someone here who is incapable of processing information or the diluting spirit he’s under is blocking his understanding. What’s this authority trip anyway? Read the Bible and see what it says about the offices in the Church. It’s several places one of which is Ephesians chapter four and then I believe in Titus and one of the letters to Timothy. There’s also a list in First Corinthians I believe also. Anyway I believe we all grow weary of this childish and immature nonsense. Is this what Mormonism produces? No wonder these folks are so easily led. Since you teach you can do nothing to help your salvation, why do you worry so much about being judged? YOU HAVE NOT ANSWERED MY QUESTION, you just give some vague references to men you do not seem to want to name. Then you tell me who DOES NOT have the authority. I am asking you to name the men you think have the authority today. Is falcon one of them? Can a woman like Sharon be one? What about the men at CARM, or Alpha and Omega Ministries? for all to read . In order to Beware —Matt 7:15 — we must be Aware ! Parkman, you’ve mistaken worry for warning. My warning was for you – not me. I am concerned about the eternal destiny of your soul. I’m not worried about being judged by Jesus Christ because I am in union with Him through regeneration and baptism. I am part of the body of Christ – not outside of it. I am not under condemnation (Romans 8:1). I have received Christ’s righteousness through imputation, thus reconciling me with the Father and no longer guilty of transgressing His law. There is nothing you can do to earn your salvation. You cannot please God in your sinful state no matter what you do. Only those that are in Christ can please God. This can only take place because of the Son being our Redeemer. Apart from Him we are nothing and can do nothing (John 15). Salvation is completely and totally a work of God (monergism). All that is required for your salvation has to be initiated by Him. Faith, belief, and repentance are all gifts of God. Every human being is commanded to repent and follow Christ. The gospel message is to be freely given to all. God is not the author of sin/evil. Human beings are responsible for their sin and rebellion. You won’t be able to blame it on Joseph Smith or Brigham Young when you face the judgment of God for your polytheism, Arianism, tritheism, and following a false christ and prophets. Andy, YOU HAVE NOT ANSWERED MY QUESTION, you just give some vague references to men you do not seem to want to name. Then you tell me who DOES NOT have the authority. I answered this question about authority in articles 2 & 4. I even led you through John 1:12 in your LDS KJV Bible. I guess you aren’t reading what I am writing. But, why should you? It is great game playing and diversions to just keep asking the same questions over and over. I am going to keep giving you the same answers over and over again. I’ve grown weary of this foolishness, Parkman. This really has turned into “casting pearls to swine” when it comes to your heretical braying regarding the Trinity. You’ve embraced a 19th century aberrant religious movement created by Joseph Smith, the false prophet. You have the Bible, and you reject its authority. I can only pray that one day maybe God will be merciful and move on your life bringing you from spiritual death to life. What is interesting is that you could call someone a heretic and if you had the Emperors backing you could make it stick. For more than a thousand years the Roman Catholic church was the only church in europe. There were no Arian, Ebion or Docetic sect of christianity. Even though the term trinity has been used it does not mean the doctrine is correct. of this mission by apostles like Paul who were authorized by Jesus –Rom 1:16 ; Col 1:23.
man made errors were replaced by heaven sent guidance to Mormon prophets . not always been God but were taught by an older God how to become such. I see you’re still stuck on Theodosius I. It’s unfortunate you want to get bogged down with that. The Council of Nicea took place long before Theodosius came to power. The Church had declared what was heresy before and after Theodosius’ reign. I call Mormons heretics because of their doctrine, which came from that early time period. I am declaring what has been said by millions of others before my time. That charge still sticks not because of Theodosius. I’ve typed several thousand words explaining this to you. I guess you’re doing the same thing Parkman is doing. You just keep asking the same thing over and over again as a diversion to the real issue. Stay focused on Theodosius and keep ignoring the Bible and the heresy of Mormonism. That is exactly what Satan would want you to do. Wrong again, Clyde. The Arians gained prominence up in Northern Europe. Arianism is very much alive today within Mormonism and the Jehovah’s Witnesses. The Ebionites were predominately Jewish and faded quickly into oblivion. The Docetic heretics were primarily Greek. Gnosticism has continued to linger in different forms all the way to the present day. These groups weren’t a “sect of Christianity” because they were outside of the Christian church just like Mormons are today because of their rejection of the Trinity. You’ve kind of run out of steam. Please tell us why the Church Fathers were wrong regarding the divinity of Jesus. That’s really what this is about. Are you ready to defend the Mormon doctrine of millions and billions of gods, men becoming gods by following a particular religious system, mother goddesses who serve the purpose of procreating spirit offspring and a two fold system of salvation? All we get from you is Emperors and the word trinity. Can you demonstrate through evidence the the sect of Mormonism you follow are the keepers of the truth regarding who Jesus is and the significance of what he did on the cross. Your questions regarding Emperors have been answered. You have no other place to go. You’re stuck in a man-made religious system that has not one ounce of truth. You keep answering some question, just not the one I am asking. As usual, you walk around the true question and try to divert our attention from your lack of answering by spending your time telling me why I am wrong. WILL YOU ANSWER THE QUESTION AND LIST SOME LIVE PEOPLE YOU THINK HAVE AUTHORITY FROM GOD TO CORRECT WRONG DOCTRINES? OR WILL YOU CONTINUE TO JUST BLUSTER YOU WAY THROUGH BY CONTINUING TO ANSWER QUESTIONS I DID NOT ASK AND THEN TRY TO MAKE ME LOOK BAD BY SAYING YOU ANSWERED MY QUESTION? Hey Parkman, Lets do one better, You flat out said, Their is much information out their that Andy is purposely leaving out, You have been asked by me and others to provide your sources. I’m saying you cannot and your AGAIN bearing false witness. I’m also saying to all the Other LDS here, Andy flat out asked me to clarify something I said once and I did, we police ourselves, How come you guys dont do that with each other? Your so called fellow brother, Parkman and LDS member has now and before been called to account for bearing false witness to further his belief in this false religion. I seem to recall Clyde claiming information is out their that we refuse to use, So another LDS is claiming sources exist, yet cannot or will not provide them for us. How can we trust you guys to be honest and why should we believe you know what your talking about when you allow your own to bear false witness and do nothing about it and when other LDS here claim we are missing facts yet you wont or cannot provide this information you claim is out their. Are our Mormon posters supplying the information that they claim is missing. Perhaps they have and I missed their presentation, but I doubt it. Now they are either bluffing or they are the laziest bunch of faux posters we’ve ever had around here. It’s so easy to drive by, throw a bomb and run away. But their bombs never explode because there’s nothing in them to detonate. They are empty. This is what happens when convictions are based on feelings and false information. At every turn, Mormonism is one false claim after another. I don’t care if we’re talking about a lost tribe of Jews who supposedly floated to the Americas in magic boats and established a vast civilization for which their is no trace or a supposed scripture that is as phoney as the false prophet that produced it. When a person buys into a lie at the very basic level as the nature of God, then they’ll believe anything. They’d believe that Joseph Smith and Brigham Young floated around the Nauvoo temple like Celestial skydivers if they were told so. The more convoluted and outrageous an idea, the more these folks will embrace it. so that they can hear the other side of the story that Mormon Missionaries are telling them . Here’s where I’d have to disagree with you a little bit. I’ve noticed over the years that we get Mormons who are varsity players, junior varsity and then spectator level. Jim Spencer divides them up into the arrogant true believers, the naive true believers and those who are questioning Mormonism. I’ve left a couple of classifications out however the point is that there are definitely a variety of types within the Mormon community. There are some even who get it. They know Mormonism is a sham but they figure it’s as good as anything else and they like the social aspects of the sect. The naive folks are those who have bought the program, sincerely believe the myths and live off of the Mormon Urban Legends. Heaven help those Mormons who begin to notice the cracks and can’t patch them fast enough with some sort of rationalization that I call an “all better now blankie”. They so desperately want to hold on to the myth that any explanation for the unexplainable will do. I’ve chronicled where the length of time from questioning to full on rejection takes about eighteen months. It takes another five years to get the Mormonism fully out of their thinking process. Jack Garcia talks about wanting so badly for Mormonism to be true long after he knew it wasn’t. On-the-other-hand, Arthur Sido talks about that when he went down on his knees he was a Mormon and when he got up he was a Christian. I happen to be in Idaho one time and found the giant “S” curve on the Sugar City Road that Jim Spencer talks about in his book “Beyond Mormonism”. Jim says he entered the curve a Mormon and when he came out the other side he wasn’t. God spoke to him. Please provide proof from the Bible that the leaders of the LDS church have the authority from God to correct false teachings. It is you folks who are trying to convince me that my Church wrong and not my place to convince you that it is true. Is there a man or group of men on the earth today that have the same authority from God to correct these false teachings, like the Church Fathers you claim had the authority in the past? Then why are you here? What purpose are you serving? You have insisted over and over that Andy (and now me) provide this evidence to you (which Andy did, more than once) yet you aren’t willing to share with us how Thomas Monson and his “group of men” have authority to speak for God. Andy has answered this question many times, I suggest you go back and read it. Obviously you haven’t been reading his responses to you. His answer to you has come straight from God’s Holy Word. You should check it out. It is a Mormons place to convince the world that their church is right, otherwise your church wouldn’t be sending out missionaries. To give you a chance to prove that you are right. The best I can find from any of you is that the “Body of Christ” gets together and has authority like the ‘church fathers’ of old. So far this “Body of Christ is only an unknown group out there somewhere, an unknown group that you, for some reason, do not want to name. If this “Body of Christ” really exists, they must meet together at some time to vote on what is God’s truths and what man has added or taken away from God’s Word. The Bible does not name any of the ‘church fathers’ that had authority from God to correct these false teachings; yet Andy has named some. What is wrong in naming some of the ‘church fathers’ that God has given His authority to today? Where and when do they meet and what are some of the names of the men who make up this group? The body of Christ isn’t a group of men, the body of Christ is made up of believers. Believers in Christ, the traditional Christ of the Bible. I am part of the Body of Christ. Your inane questions and responses lead me to believe that you aren’t serious about Christianity or Mormonism, you are a troll. Nice talking to you but I’m afraid I’m not going to waste my time on someone who plays games. Kate, your attack on me seems to say that you think it is wrong to know whom the group is that has authority from God to correct mistaken ideas about His gospel. If you didn’t think this way I believe you would have been forth coming with an answer that included who the men are or at least what position these men hold. I have gone back and studied your teachings by first restudying just your writing in all four articles and the references you gave. Then I restudied what you taught in your answers, and only your answers [that means that I left out what other readers wrote and concentrated on what you wrote]. You have done much study and you are willing to share who the ‘church fathers’ you believe had authority from God to correct these false teachings were. Problem is, you refuse to name who these ‘church fathers’ are today. I must conclude that you do not know who they are or you do not believe that there are any ‘church fathers’ that have authority from God to correct these false teachings. If these men do not exist today then you are living proof that your belief that the ‘great apostasy’ did not happen is false. If your authorized church fathers were wrong, then the ‘great apostasy’ started before their time. If your authorized church fathers were correct then there should be there successors alive and visible today. If they aren’t any authorized church fathers today, then the ‘great apostasy’ happened after your earlier church fathers died. I came back and checked on this thread to see if there were any more discussions or questions. I guess I’m not surprised to see that you are still here talking to yourself by asking the same questions about authority which I have answered over and over and over and over and over and over again. The mods warned you once and then put you in “time out” when you kept up with the same mantra. Yes, I read what you wrote. I guess you have a reason for being worried or obsessive about the authority issue. After all, if you come to the realization that the LDS “great apostasy” theory is nothing more than a fanciful and delusional conspiracy theory without basis, which it is, then the reality of your visions of manmade godhood with your own planet to rule from comes horrifically crashing down upon your head. I’m going to tell you what I said before. Neither you, Thomas Monson, Brigham Young, nor Joseph Smith has any real authority from the living and true Christ. In all of your cases it’s because of John 1:12. I went into great detail in exegeting that text to you especially with the word “right; authority” (Greek: exousia) coming right out of the footnotes from your own LDS KJV Bible. Neither you nor any of your present or past Mormon leaders are children of God because none of you have accepted the Christ that is taught in God’s Word that He has given to humanity in the Bible. You and your spiritual leaders have believed and accepted a false christ coming from the spiritually depraved mind of Joseph Smith just the same as many false religions, cults, and sects have their false prophets who have given their people a version of a false christ. Parkman, I’m not here to convince you. I simply declared to you what the Bible and church history says about the doctrine of the Trinity. I said from the very first article that the doctrine of the Trinity is for regenerated Christians – not heretics. Only those that have received spiritual life from God will ever accept this teaching from God. That is why every religion, cult, and sect outside of orthodox, confessional Christianity does not accept it, and that includes first and foremost the most infamous polytheists on earth even more so than Hinduism – Mormonism. Even Hinduism has a limit on their gods (around 90 million). Parkman, I can’t convince you into having true faith and belief in the real Christ anymore than I can tell the pigeon on the top of my house to now become a snake and crawl along the roof and fall to the ground or a leopard to change its spots (Jer 13:23). You’re spiritually dead…dead in your trespasses and sins (Eph 2:1). Dead people don’t have ears and eyes to hear and see the truth of God (Matthew 13:9-11) unless God brings you to life giving/granting you the ability to spiritually hear and see. Your obligation is to turn from your sin and call out to God for mercy asking Him to impart spiritual life into your spiritually rotting corpse. Parkman, I’m going to try to work through this with you this one last time only because these answers will be based on the church fathers since I referenced them in my articles. If you don’t want to accept the answers, then that is your prerogative. You can accept it or reject it. Your words are in italics. 1. They were given the right/authority to become the children of God through the new birth (John 1:12). 2. The apostolic church fathers were taught by the apostles. These fathers then taught the people of God (the church/body of Christ) the faith coming from the Scriptures by means of writing, teaching, and preaching. 3. The church fathers were ordained servants of God (bishops and presbyters) who had the keys to preach the gospel and enforce church discipline on those who denied the faith (Matthew 16:19; 18:18-20). I cited only a few, but I could have given many, many more. It wasn’t just the church fathers. There were many others who had this authority who we do not know by name today. Remember, there were over 300 bishops who gathered at Nicea for the first council. When they gathered together as Christ commanded them to do so in regards to imparting discipline (Matthew 18:18-20) upon those in the church (as was the case of Arius at Nicea), then what is declared by these ordained servants of God is binding in heaven and on earth. Problem is, you refuse to name who these ‘church fathers’ are today. I must conclude that you do not know who they are or you do not believe that there are any ‘church fathers’ that have authority from God to correct these false teachings. The church fathers were bishops who were the orthodox champions of the church and exponents of its faith. They filled in the gap with historical knowledge between the New Testament period and the fourth century. By voice and through their writings they formulated apologetic and polemic literature as they faced persecution and internal heresy. Creeds were formed to give accurate statements of faith that were based on Scripture. The references to Scripture throughout their extensive writings are enormous. If all the manuscripts and Bibles were to be lost today the Word of God could be reassembled many times over just through the references and quotations of the written Word through the writings of the church fathers. The timeline of the patristic fathers is generally considered to be from A.D. 95-460. The Council of Chalcedon (A.D. 451) brought the patristic time period to an end. If that is what you believe, then you are certainly welcome to it though it is the epitome of ignorance based on the historical record of Christianity from the 1st through the 21st century of Christianity and especially in light of God’s Word in what it says about such a conspiracy theory that is held by the Mormons, JW’s, and many others in the cults. Actually, I am living proof that there was no great apostasy and that Mormonism is a damnable lie because I have been born again, justified, adopted into God’s family, have union with Christ, and the triune God lives within my life as I march on in this world and life of sanctification leading to eventual glorification (Romans 8:29-30). All of this happened outside of Joseph Smith, Brigham Young, the LDS Church, Salt Lake City, the Book of Mormon, and young, immature, naive LDS missionaries giving me a programmed lecture they learned at MTC in Ogden. If your authorized church fathers were wrong, then the ‘great apostasy’ started before their time. If your authorized church fathers were correct then there should be there successors alive and visible today. The burden of proof is on you, Parkman. You have to demonstrate that the church fathers were wrong. The problem for you is that you can’t. Why is that? You certainly can’t do it from the Bible. You can’t do it with history. There was no Mormonism before the 19th century. You have nobody before Joseph Smith. Your religion is the fantasy of a misguided youth who let his imagination go too far. Smith’s parents should have whipped Joseph Jr. senseless if he actually came home and reported to his mother that he had seen the Father and the Son in the woods and had a conversation. Instead, his parents fueled his spiritual delirium by encouraging him with folk magic that the whole family was practicing. Learn your own church history first, Parkman. I learned LDS history from LDS historians (Richard Bushman primarily). In my articles I demonstrated that there was no great apostasy conspiracy as believed by the Mormons and JW’s. I demonstrated the link between the apostles and the apostolic church fathers (Ignatius, Polycarp, Irenaeus, etc.). The apostles were taught by the Lord. Many of them were writers of Holy Scripture. They were the founders and builders of the church (Ephesians 2:20). They were Christ’s spokesman with his own authority (2 Cor 10:8; 13:10; Titus 2:15). Other writers of Scripture were companions of the apostles (Mark with Peter; Luke with Paul, etc.). These apostles taught others (John – Polycarp and Ignatius – Irenaeus). These men became bishops and then taught others who would follow after them. The cycle continued on an on. Christ’s commands His people to obey these ordained servants (Hebrews 13:17). There have always been successors of the church fathers. There has to be because Christ said He was going to build His church and it would not be overcome by Satan. That church, the bride of Christ, will be here awaiting the Second Advent of Christ, the groom. That church cannot be here without it having His authority. It is nonsense to think otherwise. The only difference is that for centuries now they aren’t called “church fathers.” The authority of Christ is meditated through the Word by the Spirit. Faith is the mode by which the authority is appropriated. A certain authority spills over to church and creed. The church is the community of those who have appropriated the authority of Christ within experience, and the creeds are the church’s confession of its experience of Christ’s authority. The church as well possesses authority by virtue of its being the “body” of which Christ is the “head” (Eph 1:22; 4:15-16; Col 1:18; 2:19). This authority derives from the “power of the Lord Jesus” that is present with believers “gathered in his name” (1 Cor 5:4; Matt 18:20). 2. Believes that the Bible is the Word of God and is fully authoritative. 3. Affirms and confesses the Apostle’s creed along with the creeds of Nicea, Constantinople, and Chalcedon. 4. Is an ordained servant of Christ (elder, minister) meeting the qualifications for that office (1 Timothy 3:1-7; Titus 1:5-9). 5. This ordained servant of Christ is under the authority (oversight) of other men and accountable to them (just like the bishops and presbyters at the ecumenical councils). Let’s take it back to the apostles for a minute. Because their authority depended on Christ’s direct personal commission, they had no successors; but each generation of Christians must show its continuity with the first generation, and its allegiance to Christ, by subjecting its own faith and life to the norm of teaching which Christ’s appointed delegates provided and put on record for all time in the documents of the New Testament. It is through the New Testament that this apostolic authority (exousia from John 1:12) has been made a permanent reality. If they aren’t any authorized church fathers today, then the ‘great apostasy’ happened after your earlier church fathers died. Here’s the problem with that statement, Parkman. Your church is stating that the great apostasy happened BEFORE there were any early church fathers; the apostasy supposedly happened after the death of the apostles. Once again, Parkman, learn your own church history, doctrines, and teachings. I would be embarrassed if a Mormon or a Jehovah’s Witness had to explain to me my own religious tenets that I am supposed to know and believe when they don’t believe it themselves. Demonstrating the link between the Lord – apostles – church fathers, this showed that the LDS claim is false. The body of Christ, His church, continued to grow and spread throughout the known world. Christians weren’t being persecuted for any reason. I guess the LDS Church would have us believe these countless numbers of martyrs died for no reason. After all, in the LDS view Christianity ceased to exist after the death of the apostles. Therefore, all those martyrs died for some other reasons besides faith in the risen Christ. That is grossly naive and ignorant to even consider. Parkman, your church leaders do not meet the criteria listed above. I will keep saying it again and again: Mormonism is a 19th century aberrant religious movement founded by a false prophet who had visions of egotistic and lustful grandeur. He had his time to fulfill both even though it was very short lived. It always is with the season of sin. To stand on the edge of history and look backwards past the 19th century and see nothing past the year 1805 when Smith was born should give you sinking feeling in your soul of concern and loneliness. Your church didn’t exist before April 6, 1830. There is no mention of Mormonism by anyone before this time period. But, somehow, in your spiritual delusion and depravity, you think it’s the responsibility of Christianity to prove its historical and spiritually authenticity. This is also grossly naïve and ignorant to consider. You stand at the base of a historical “Mt. Everest” (Christian history) looking up at the top claiming that it doesn’t exist. I say to you again: call out to God in mercy to give you eyes to see. This is my last posting to you, Parkman. I’m pretty sure this thread is coming to a close. You snorted and stomped for months on this blog about the doctrine of the Trinity. In reality you didn’t want to discuss it or examine carefully what God’s Word has to say. Then again, why would you? You are spiritually blind and deaf. You chose the topic of authority as a diversion/rabbit trail. You missed the forest for the trees – the carrot right in front of your eyes. You didn’t want to deal with the biblical and historical evidence that shatters your make believe world in Mormonism. Maybe Kate is right; maybe you are just a troll. The information is out there in the articles, the discussions, the MRM website, etc. You have chosen to be an apologist for the LDS Church – a very unwise decision, and you aren’t a very good one at that. Your arguments are shallow and immature. You’re just an LDS hothead that has found a blog to blow steam. I have answered every question you have asked many, many times over. I’ve been very patient in doing so the past three weeks. I leave you to your depravity and seared conscience with Christ’s words in Luke 13:3. Thank you for your long and detailed posts to parkman! I doubt he’s learned a thing from them but I have learned a lot. Just letting you know that it wasn’t for nothing. I wonder if you, Sharon or Aaron would be able to do an article/ series on the so called great apostasy. This is where Mormonism truly begins because if there was no great apostasy there was no need for a restoration. It would be interesting to discuss. Thanks for your time and effort on the doctrine of the Trinity! I did finally find a few words that answered my question. As I see it, you have based your understanding of the Bible by filtering the Word of God through the teaschings of men. Let me summarize what I finally got from your teachings. God gave us Apostils to add to what Christ taught us. God then gave us ‘church fathers’ to better teach us what the Apostles taught. There are no longer ‘church fathers’ to help correct us because there will be no new misunderstandings, just the old ones revisited. The only people with authority from God agree with what these men taught. Andy, Did I finally get it correct? I am honestly not surprised, Again, all you do it quote a few things said and disagree with zero evidence. Parkman, to stand on the edge of history and look backwards past the 19th century and see nothing past the year 1805 when Smith was born. Your church didn’t exist before April 6, 1830. There is no mention of Mormonism by anyone before this time period. Now you have no evidence and therefore you ignore what is said. Again as I have said, Your nothing but a troll and you should just go away. I’m happy to know that the Trinity series was informative and a blessing to you. It’s funny that you mention a proposed series on the so called “great apostasy.” When I started to write these articles on the Trinity I began first with discussing and dismantling this LDS conspiracy theory of Christianity going into extinction after the death of the apostles. The Mormons aren’t the only ones who hold to this theory. The JW’s belive the same thing. Anyway, I wrote two articles on the great apostasy. In the end it was decided that it would have been too much: two articles on the great apostasy and then four articles on the Trinity. Therefore, the two articles on the great apostasy were not included. I was also informed that the LDS Church has recently changed their position on the apostle John who supposedly never died. Like you, I felt that if it could be demonstrated that there was no great apostasy, then anything else from Mormonland is irrelevant. The evidence I presented in those two articles demonstrates from LDS sources that this great apostasy never could have happened by their own definitions and writings. Apparently, the LDS Church has come to realize this and has now come out with a spin to counter it. I was also informed that the LDS Church has recently changed their position on the apostle John who supposedly never died. Some little points that disturb me. Remember, there were over 300 bishops who gathered at Nicea for the first council. When they gathered together as Christ commanded them to do so in regards to imparting discipline (Matthew 18:18-20) upon those in the church (as was the case of Arius at Nicea), then what is declared by these ordained servants of God is binding in heaven and on earth. From what I have read of 1800 bishop only 300 to 400 attended the council and most of those were Trinitarian. The council did not have a majority of bishops there. When you say that I am not a child of God you do not see what I see or understand what I understand. I see you as a child of God but you don’t see me as one. Maybe it’s because I believe in preexistence and you don’t. If there was a religious war You could probably kill me without any regrets because to you I am not a child of God. I on the other hand would be very hesitant because I know that you are a Child of God. I would be very interested in your two articles on the apostasy, if you wouldn’t mind getting my email address from Sharon and passing them along to me that would be great! I hadn’t heard that the LDS church has changed it’s position on the apostle John never dying. That will upset a few older generation Mormons, or at least it should! Just an FYI: I have been told (by a Mormon) that the 3 Nephites and John were taken off the earth on (around A.D. 322), supported by Mormon 1:13. I’ll be happy to send you the two articles. These are in Microsoft Word (.docx) 2007 format. If you need them in another format let me know. I’ve already sent them to you, so they should be in your email inbox. I read the link above and all I can say is WOW! The LDS teachings floating around today are absolutely foreign to me. I was taught that there was a complete apostasy. Where “complete” actually meant COMPLETE! Everything was lost and remained lost until Joseph Smith restored it. We can see from past prophets and leaders that this is what was believed and taught. I would like to see Thomas Monson himself stand up at general conference and address this. Give us the “official” teaching ( for today) on the great apostasy. This Bickmore guy is not the authority of the LDS church so what he says doesn’t actually count. Come to think of it, what past prophets have revealed doesn’t count either. The problem with Mormonism is that it can teach one thing one day and flip it the next! That is not continuing revelation, it’s false teachings, confusion and causes people to be tossed around by every wind of doctrine. It would be nice if Mormons would just be honest and stand up for their “peculiar” doctrines and teachings. Thanks! I look forward to more study on this topic! After you posted the new thoughts going around in Mormon circles, I seem to recall talking with some mormons at my house around 6 months ago and we talked about this issue. That statement came from a solid LDS source to Sharon. She passed it along to me. You know how it is with Mormonism. It’s very difficult to find any consistency when it comes to doctrinal matters among the LDS faithful even though General Conference is held twice a year and the GA’s tell their people exactly what they are supposed to believe. Mormon doctrine and beliefs are constantly evolving. It’s like trying to hold on to a slippery eel. I’m sure you have also thought this and will agree. The thing thats is really sad is, Mormons dont care about all these changes, It simply does not bother them that the religion they teach and believe is not the same as what JS And BY taught and believed. How can these changes not bother you? Then even worse than that is, They jump on us when we give quotes of former leaders or LDS sources, They claim they are not Official or it’s mere opinion. Yet the people making these new changes are not prophets or the people that can make them, so it really is a matter or mere opinion and not binding, yet LDS except these, but not quotes by former leaders that we give. To me this is solid evidence that Mormonism is both false, and the fact that when the Bible says people love lies and darkness over truth, this is the best example of it being played out in front of us.